Just in case you failed to notice I am currently trying to complete 2013 miles in 2013 to raise money and awareness for the Cystic Fibrosis Trust. 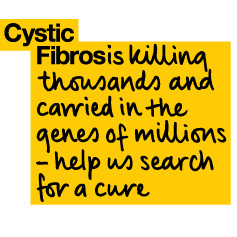 The CF Trust is dedicated to promoting excellence in research and clinical care, as well as providing practical support and advice to people with cystic fibrosis and their families. The CF Trust is working for people like 23-year-old Sarah Horscroft, who has a one in three chance of dying before she gets the organ donation she is anxiously waiting to receive. Sarah was diagnosed with cystic fibrosis when she was just 15 months old, she had half her left lung removed at 18-months. Now Sarah has only 25% of her lung function and is on the waiting list for a transplant. 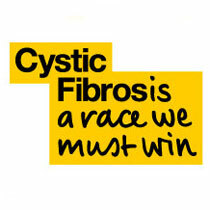 Nearly 1 in 3 people with cystic fibrosis die while on the waiting list. The cystic fibrosis trust says more must be done to help people in Sarah’s situation.